In 1933 the Japanese Navy issued a specification calling for a two-seat aircraft to replace the Type 90-2-2 (E4N2) reconnaissance seaplane for use aboard seaplane tenders, battleships and cruisers. Nakajima’s entry to answer the request was the E8N1. The E8N1 was a modernized and updated version of the E4N2 that it was intended to replace! The plane was first flown in 1934 and because of its superior maneuverability and better handling characteristics than its competitors, it won the competition. The E8N1 was accepted for service in 1935 as the Navy Type 95 Reconnaissance Seaplane Model 1. Later as the Pacific War began the Allies gave the plane the code name “DAVE.” The E8N1 was powered by a 580 hp 9-cylinder Kotobuki 2 KAI 1 radial engine driving a wooden two-blade propeller. The E8N2 used the 630 hp Kotobuki 2 KAI 2 radial engine. Both versions carried a single fixed forward-firing 7.7mm machine gun and a flexible 7.7mm machine gun mounted in the rear cockpit. The external stores consisted of two 30kg bombs. The plane distinguished itself during the pre-war Sino-Japanese conflict by shooting down opposing Chinese fighters on several occasions. The DAVE remained in production until 1940 and by the beginning of the war was being replaced by the E13A “JAKE” and F1M “PETE.” The E8N served throughout the Pacific war and ended the war in the communication, liaison, and training roles. It is still disputed as to the role of the DAVE in the battle of Midway. The cruiser TONE carried both DAVEs and JAKEs at Midway. It may or may not have been a DAVE that had engine problems and launched late, which delayed the detection of the US carrier forces and changed the course of history….. This is an all new kit of the E8N and is beautifully cast in tan resin. Of the 3 1/72 E8N kits out there, this is by far the best detailed. The DAVE has about 40 resin parts. The molding is crisp with some flash. There is a fair amount of flash; however it is not excessive with most occurring where needed to preserve fragile parts. The craftsmanship is excellent with some bubbles. There are a few more bubbles than previous Choroszy releases, but again they are not excessive and are easily fixed. The kit has a full interior and very fine surface detail. The fuselage is as thin as many plastic kits, but does not seem fragile. It includes beaching gear and well printed thin decals for 5 DAVEs (one in pre-war silver with red and 4 in the green/brown over gray “cloud pattern” camouflage). The three-view of the kit shows the location of the bomb racks, but the kit does not include the racks nor ordnance. I could not find a good set of plans for the E8N, so I could not check the measurements. The kit has the appearance, fine lines, and shape of the drawings in the references. The box indicates that the kit can be built as the E8N1 or E8N2, but the instructions give no indication of how to build which version. A check of the references shows the difference was an engine modification and some internal equipment differences, so the difference is negligible. The only option then is to build the kit with or without the front engine shroud. While going over the kit, I found details that I had not noticed previously on a DAVE. Sure enough, when I checked my references photos, they were there. Choroszy Modelbud has done their homework as usual! I would recommend this kit to the experienced modeler. The float strut arrangement is somewhat complicated and there is not a parts map to help differentiate between the many struts. It should be a challenging build! The kit parts are well packaged in 6 separate small zip-lock type bags. I had some minor breakage of some of the parts and a couple of parts were missing. I contacted Choroszy Modelbud and they indicated that they would send me what I needed. I also had a few extra parts, but most of these were replacements for defective parts in the kit. The directions consist of 3 sheets front and back. 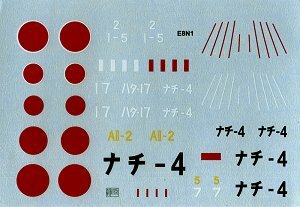 (One side for the three-view of the plane, one half side for history, 1 and a half for the exploded view construction directions, and three sides for the camouflage schemes). 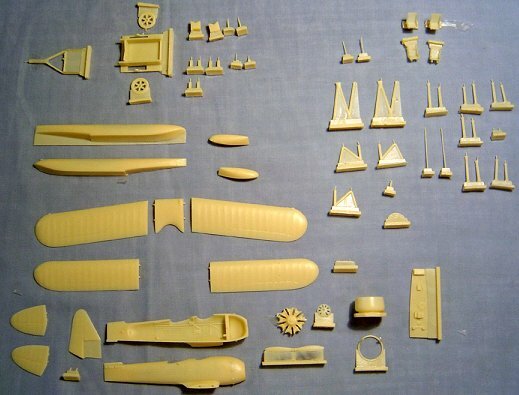 The exploded views are a little crowded, but most modelers will be able to follow them. This two-place open cockpit plane just begs for super detailing of the interior. Choroszy has provided a good start on the interior. I was not able to locate a good reference for the interior of this plane, so the modeler will have to use their skills and imagination to do it up! The rigging is not well detailed in the instructions, but hitting the photos in your references will help with this task. A sheet of clear plastic is included for windscreens, but no templates are provided, so hit the photos for help in making the windscreens. Fortunately, the windscreens are simple, so making them will not be difficult. The clear parts and instructions may be the only draw backs to this kit. 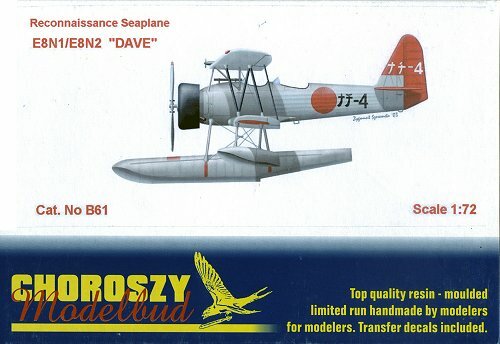 I’m not an experienced biplane builder so for me and probably the average builder this will be a challenging, but satisfying build and will make a very nice E8N DAVE. Choroszy kits are hand-made, limited-production, museum quality kits and you get what you pay for. I look forward to building this kit! 1) Famous Airplanes of the World #47, Imperial Japanese Navy Reconnaissance Seaplanes, Bunrindo Publishing, July 1994. 3) Model Art Special #565, Imperial Japanese Navy Seaplanes, Model Art Modeling Magazine, July 2000.